To see and admire, to seek and explore, to feel and enjoy..
Macedonia is the largest and second most populous Greek region, a mosaic of cultural and natural treasures not to be missed by anyone. ό Cruising the blue waters of Mount Athos, a place blessed with more than 1.000 years of history. ό Visit an Orthodox Monastery to feel the tranquility that a spiritual journey can offer and receive a treat from the nuns. ό Taste a glass of awarded wine in the elegant cellar of a local winery. 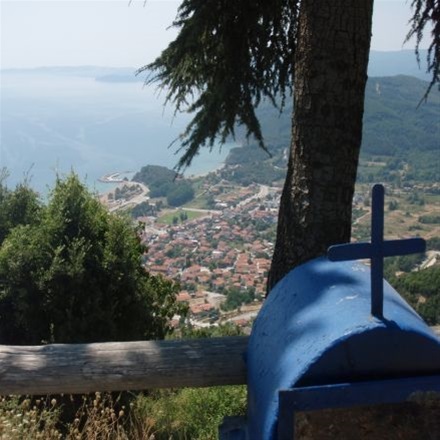 ό Experience an adventurous day in a 4X4 vehicle that will lead you to the unknown nature of North-East Halkidiki while admiring the forests of pine trees and walk among the ruins of ancient Stagira, the birthland of Aristotle. For those who think that a journey is much more than relaxing, this is the ideal suggestion.